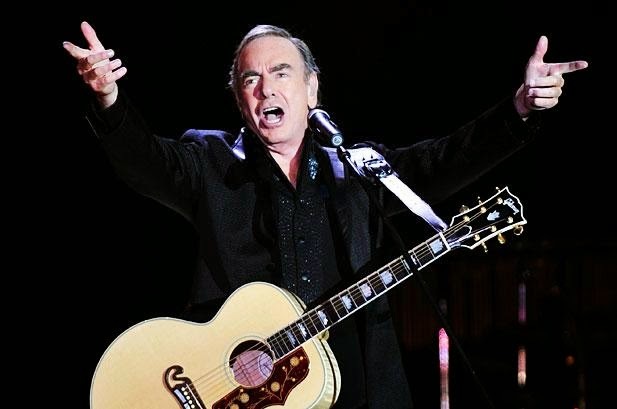 Neil Diamond has signed with Universal Music Publishing Group for an exclusive worldwide publishing administration agreement. He brings with him his entire back catalogue and new studio album, Melody Road, out Oct. 21 on the Universal Music Group-owned Capitol Records. UMPG will rep Diamond's songs for synchronization in film, TV, advertising, games and other media, as well as provide global copyright administration of his entire back catalog and future works during the term. Diamond's catalogue of songs spans a half-century including his solo hits "Solitary Man," "Cherry, Cherry" and "Girl, You’ll be a Woman Soon," among others, as well as many memorable songs for other artists, including "Sunday and Me" by Jay & the Americans, "I’m a Believer" and "A Little Bit Me, A Little Bit You" by The Monkees, "I’ll Come Running" by Cliff Richard. In January Diamond signed a record contract with Capitol that brought his entire catalog under a single label, for the first time uniting his recordings from Columbia, Universal's MCA label and Bang Records, which was under the Atlantic umbrella. UMG chairman and CEO Lucian Grainge said in a statement, "It fills me with immense pride to now have Neil's entire publishing and recorded music catalogs both at Universal Music. Neil’s enduring popularity is a testament to his considerable talents as a performer and songwriter. We look forward to continuing to work with Neil and to maximize opportunities for him and his music on a global scale." "Neil is one of the greatest and most timeless songwriter-artists of any generation. He continues to write some of the very best songs of his career and we are extremely honored to have him join the Universal Music Publishing family," said UMPG president, North America Evan Lamberg. "We would also like to thank Steve Barnett and the entire Capitol Records team, as well as Neil’s manager and wife Katie McNeil Diamond, who will all be invaluable partners as we globally work his new music and catalog." Diamond has sold more than than 128 million records over the course of his half-century spanning career, and is a Grammy Award winner and member of both the Rock and Roll and Songwriters Halls of Fame.